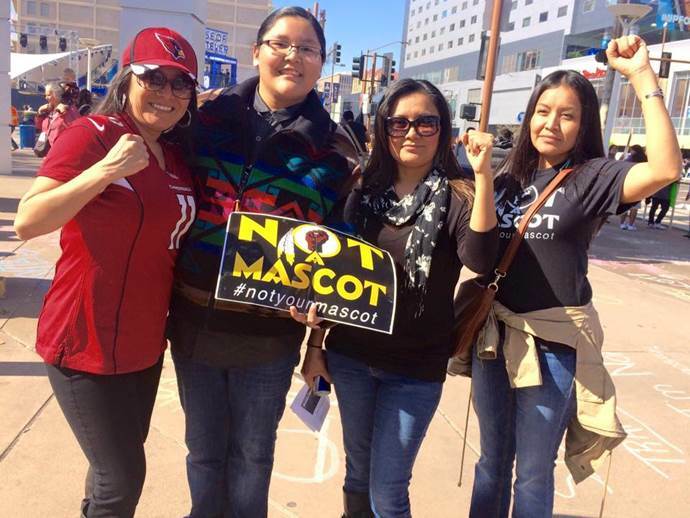 About – No More Native Mascots! Left to right: Kristy Blackhorse, Kyle Blackhorse, Tawnya Brown, and Amanda Blackhorse. We are a group of Indigenous advocates and non-Indigenous allies who seek to confront the colonization of our identities as Indigenous people. The colonization of Indigenous people has negatively affected every aspect of our lives, especially our identities. We strive to dismantle racist institutions by targeting sports teams who use racist Native mascots/nicknames as well as those who use general Native themes. Kayenta, Arizona. She is a mother and licensed clinical social worker for a tribe in Arizona. In June 2014, Amanda Blackhorse and four young Native American petitioners, organized by Suzan Shown Harjo, won their 9 year long case before the Trademark Trial and Appeal Board under the US Patent Office in Blackhorse et.al vs. Pro Football to cancel the federal registrations of the NFL team, the Washington R*dsk*ns. These registrations include the racial slur r*dsk*ns and their logo. This unprecedented victory appeared to end an over 40-year battle against the R-word. As a result of that decision, Pro-Football sued Amanda Blackhorse and her co-plaintiffs in federal court but on July 8, 2015 a federal judge upheld the TTAB decision to cancel the teams registrations on the grounds of disparagement – the team lost their appeal. Still not happy with this decision, Pro Football appealed once again. Currently the case is pending in the Fourth Circuit court of appeals and has been drastically affected by a similar case Matal vs. Tam where the Lanham Act (Section 2a) was rule unconstitutional by the US Supreme Court on the grounds that it violates Free Speech. 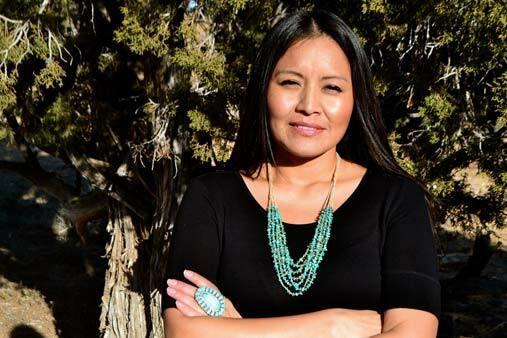 Amanda Blackhorse and other Natives founded the group, Arizona to Rally Against Native American Mascots to spread awareness about the harmful effects of offensive Native mascots. As an advocate against Native American mascots and social worker, Amanda also speaks nationally about how colonization and historical trauma contribute to the legacy of Native American mascots.